You could save your horse's life with this fascinating information! Being a horse owner isn’t always easy. You are constantly learning new information on how to properly care for them. These five important facts should be added to your must know list, as they can be life-saving. 1. Most horses have all their teeth by 5 years of age. While it may seem like they keep growing, this is incorrect. The teeth slowly emerge over their lifetime. As the teeth come in, your horse may grind them while eating. A dentist has to float (or file) the teeth to eliminate sharp edges. 2. Horses only breathe through their noses. Unlike people, horses can’t breathe through their mouth. If your horse injures their nasal passage, there’s a chance that they could suffocate! You should also keep a lookout for a snotty nose, as this can greatly impair their breathing ability. 3. They smell better than they see. Your horse may not be able to clearly identify the object in the distance. However, they do have a keen sense of smell that helps them decide if something is a predator, friend, or safe to eat. 4. Your horse can’t throw up. Once something is consumed, it’s heading in one direction. Their digestive system will not allow it to come back up. 5. When your horse chokes, they can still breathe. 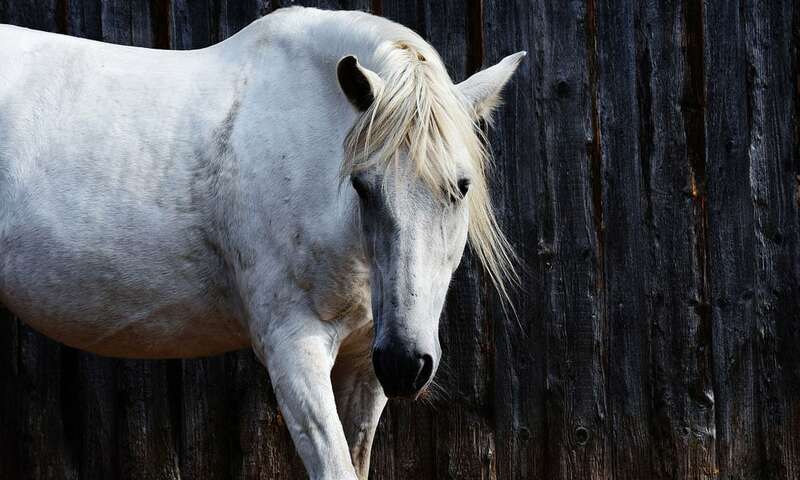 People may lose their air supply when something is lodged in their throat, but that’s not the case with horses. When you learn how the body of a horse functions, you have a better chance at saving your horse in a life-threatening situation!